Jalaluddin Haqqani was the founder and leader of the Haqqani network, a militant Islamist movement dedicated to expelling Western influence from Afghanistan and Pakistan.Eric Schmitt, “Taliban Fighters Appear Blunted in Afghanistan,” New York Times, December 26, 2010, http://www.nytimes.com/2010/12/27/world/asia/27policy.html?_r=0. In July 2015, a senior member of the Haqqani network claimed that Jalaluddin Haqqani had been dead for more than a year. Neither U.S. intelligence nor the Taliban confirmed his death.Matthew Rosenberg and Ihsanullah Tipu Mehsud, “Founder of Haqqani Network Is Long Dead, Aide Says,” New York Times, July 31, 2015, http://www.nytimes.com/2015/08/01/world/asia/founder-of-haqqani-network-died-nearly-a-year-ago-member-says.html. The Haqqani network is considered a branch of the Afghan Taliban, but it operates independently from the organization and has a more diffused command structure.Eric Schmitt, “Taliban Fighters Appear Blunted in Afghanistan,” New York Times, December 26, 2010, http://www.nytimes.com/2010/12/27/world/asia/27policy.html?_r=0. In recent years, on account of poor health, Haqqani yielded operational command of the network to his son, Sirajuddin Haqqani.“The Haqqani Network,” Institute for the Study of War, accessed June 15, 2015, http://www.understandingwar.org/report/haqqani-network. The Taliban officially announced Haqqani’s death in September 2018.Kathy Gannon, “Death of Afghan group’s founder unlikely to weaken militants,” Associated Press, September 4, 2018, https://www.apnews.com/be6aab352110497696ddc9a01f3bf693/Taliban:-Founder-of-Haqqani-network-dies-inside-Afghanistan?utm_campaign=SocialFlow&utm_medium=AP&utm_source=Twitter. Jalaluddin Haqqani was intimately acquainted with insurgency warfare for well over a quarter century. In 1976, Haqqani began to train Islamist militants in North Waziristan, Pakistan, with the goal of ousting Mohammad Daud Khan, the then-president of Afghanistan.“Jalaluddin Haqqani,” Encyclopedia Brittanica, http://www.britannica.com/EBchecked/topic/1844743/Jalaluddin-Haqqani. Haqqani gained experience fighting the Soviets in Afghanistan. 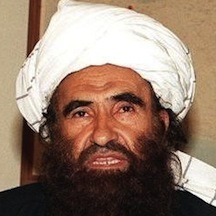 In this role, Haqqani received considerable military assistance from the United States, Saudi Arabia, and Pakistan during the anti-Soviet jihad.Jason Ukman, “The Haqqani Network: al Qaeda’s Dangerous Patron,” Washington Post, July 11, 2008, http://www.washingtonpost.com/blogs/checkpoint-washington/post/al-qaedas-dangerous-haqqani-patron-in-pakistan/2011/07/18/gIQAtWmcLI_blog.html. Haqqani reportedly introduced suicide bombing as a mainstream tactic against the Red Army.Dan Froomkin, “Jalaluddin Haqqani, Once CIA’s ‘Blue-Eyed Boy,’ Now Top Scourge for U.S. in Afghanistan,” Huffington Post, October 7, 2011, http://www.huffingtonpost.com/2011/10/07/haqqani-network-afghanistan_n_987762.html. After the Soviet retreat from Afghanistan, Haqqani formed an alliance with the Taliban and supported the growth of al-Qaeda. Even before Osama bin Laden transferred his base of operations to Afghanistan, Haqqani took the extraordinary step of publishing communiques and pleas for an alliance with al-Qaeda affiliates across Africa.Jason Ukman, “The Haqqani Network: al Qaeda’s Dangerous Patron,” Washington Post, July 11, 2008, http://www.washingtonpost.com/blogs/checkpoint-washington/post/al-qaedas-dangerous-haqqani-patron-in-pakistan/2011/07/18/gIQAtWmcLI_blog.html. Shortly after the Taliban assumed control of Afghanistan in 1996, it made Haqqani minister of tribal affairs.“Part 3: Through the eyes of the Taliban,” Asia Times Online, May 5, 2004, http://www.atimes.com/atimes/Central_Asia/FE05Ag02.html. Ever since the fall of the Taliban in November-December 2001, the Haqqani network has been subsumed under the larger Taliban, although the Haqqanis preserve distinct command and control.“The Haqqani Network,” Institute for the Study of War, accessed June 15, 2015, http://www.understandingwar.org/report/haqqani-network. Haqqani has spearheaded many of the most lethal attacks of the insurgency.Dan Froomkin, “Jalaluddin Haqqani, Once CIA’s ‘Blue-Eyed Boy,’ Now Top Scourge for U.S. in Afghanistan,” Huffington Post, October 7, 2011, http://www.huffingtonpost.com/2011/10/07/haqqani-network-afghanistan_n_987762.html. Moreover, Haqqani deepened ties with Pakistan, to such a degree that Admiral Mike Mullen, then-chairman of the U.S. Joint Chiefs of Staff, described the network as “a veritable arm” of Pakistan’s Inter-Services Intelligence (ISI) agency.Dan Froomkin, “Jalaluddin Haqqani, Once CIA’s ‘Blue-Eyed Boy,’ Now Top Scourge for U.S. in Afghanistan,” Huffington Post, October 7, 2011, http://www.huffingtonpost.com/2011/10/07/haqqani-network-afghanistan_n_987762.html. In 2008, Haqqani declared that “all the Mujahideen wage Jihad under the leadership of [Taliban leader Mullah Mohammed Omar] against the American invaders and their lackeys.”“The Haqqani Network,” Institute for the Study of War, accessed June 15, 2015, http://www.understandingwar.org/report/haqqani-network. The Taliban released a statement on its website denying any “separate entity or network in Afghanistan by the name of Haqqani,” and asserted that Jalaluddin Haqqani is “a member of the Leadership Council of Islamic Emirate and is a close, loyal and trusted associate” of Taliban leader Mullah Mohammed Omar.Bill Roggio, “Haqqani Network is part of the Taliban- Siraj Haqqani,” Long War Journal, October 5, 2012, http://www.longwarjournal.org/archives/2012/10/siraj_haqqani_denies.php. Haqqani reportedly took on a more symbolic role within the Haqqani network beginning in 2007 as he grew increasingly ill. According to a cousin, Haqqani had been diagnosed with hepatitis C, which grew worse after 2011. He also reportedly suffered from Parkinson’s disease. Haqqani allegedly relegated himself to his home in Miram Shah, Pakistan, as his illness worsened.Kathy Gannon, “Death of Afghan group’s founder unlikely to weaken militants,” Associated Press, September 4, 2018, https://www.apnews.com/be6aab352110497696ddc9a01f3bf693/Taliban:-Founder-of-Haqqani-network-dies-inside-Afghanistan?utm_campaign=SocialFlow&utm_medium=AP&utm_source=Twitter; Mujib Mashal, “Taliban Say Haqqani Founder Is Dead. His Group Is More Vital Than Ever,” New York Times, September 4, 2018, https://www.nytimes.com/2018/09/04/world/asia/jalaluddin-haqqani-dead-taliban.html. In July 2015, a senior member of the Haqqani network claimed that Haqqani had been dead for more than a year, though neither U.S. intelligence nor the Taliban confirmed the report.Matthew Rosenberg and Ihsanullah Tipu Mehsud, New York Times, July 31, 2015, http://www.nytimes.com/2015/08/01/world/asia/founder-of-haqqani-network-died-nearly-a-year-ago-member-says.html. On September 3, 2018, the Taliban announced Haqqani’s death at the age of 71 from health complications. According to the statement, Haqqani had been “ill and bedridden for the past several years.”Mujib Mashal, “Taliban Say Haqqani Founder Is Dead. His Group Is More Vital Than Ever,” New York Times, September 4, 2018, https://www.nytimes.com/2018/09/04/world/asia/jalaluddin-haqqani-dead-taliban.html. The statement did not provide specifics of Haqqani’s death, leading Afghan officials to reaffirm their belief that Haqqani had in fact died several years earlier.Kathy Gannon, “Death of Afghan group’s founder unlikely to weaken militants,” Associated Press, September 4, 2018, https://www.apnews.com/be6aab352110497696ddc9a01f3bf693/Taliban:-Founder-of-Haqqani-network-dies-inside-Afghanistan?utm_campaign=SocialFlow&utm_medium=AP&utm_source=Twitter; Mujib Mashal, “Taliban Say Haqqani Founder Is Dead. His Group Is More Vital Than Ever,” New York Times, September 4, 2018, https://www.nytimes.com/2018/09/04/world/asia/jalaluddin-haqqani-dead-taliban.html. Born as: Jalaluddin Haqqani“The Haqqani Network,” Institute for the Study of War, accessed June 15, 2015, http://www.understandingwar.org/report/haqqani-network. Mawlawi Jalauddin HaqqaniBill Roggio, “Haqqani Network is part of the Taliban- Siraj Haqqani,” Long War Journal, October 5, 2012, http://www.longwarjournal.org/archives/2012/10/siraj_haqqani_denies.php. Jalaluddin Haqani“Consolidated United Nations Security Council Sanctions List,: U.N. Security Council, accessed September 13, 2018, https://scsanctions.un.org/en/?keywords=+jalaluddin%7Chaqqani&per-page=2500&sections=s&sections=s&sort=id&includes=jalaluddin+haqqani&excludes=&committee=&nationality=&reference_from=&reference_to=. Jallalouddin Haqqani“Consolidated United Nations Security Council Sanctions List,: U.N. Security Council, accessed September 13, 2018, https://scsanctions.un.org/en/?keywords=+jalaluddin%7Chaqqani&per-page=2500&sections=s&sections=s&sort=id&includes=jalaluddin+haqqani&excludes=&committee=&nationality=&reference_from=&reference_to=. Jallalouddine Haqani“Consolidated United Nations Security Council Sanctions List,: U.N. Security Council, accessed September 13, 2018, https://scsanctions.un.org/en/?keywords=+jalaluddin%7Chaqqani&per-page=2500&sections=s&sections=s&sort=id&includes=jalaluddin+haqqani&excludes=&committee=&nationality=&reference_from=&reference_to=. The U.N. Security Council added Jalaluddin Haqqani to the U.N. 1267 Committee’s Consolidated List on January 31, 2001.“Consolidated United Nations Security Council Sanctions List,: U.N. Security Council, accessed September 13, 2018, https://scsanctions.un.org/en/?keywords=+jalaluddin%7Chaqqani&per-page=2500&sections=s&sections=s&sort=id&includes=jalaluddin+haqqani&excludes=&committee=&nationality=&reference_from=&reference_to=. “All the Mujahideen wage Jihad … against the American invaders and their lackeys.”“Haqqani Network is part of the Taliban – Siraj Haqqani,” Bill Roggio, Long War Journal, October 5, 2012, http://www.longwarjournal.org/archives/2012/10/siraj_haqqani_denies.php.